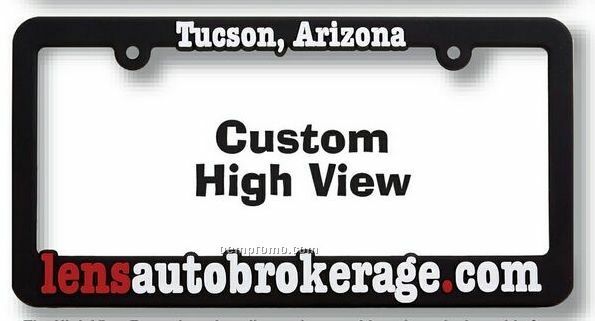 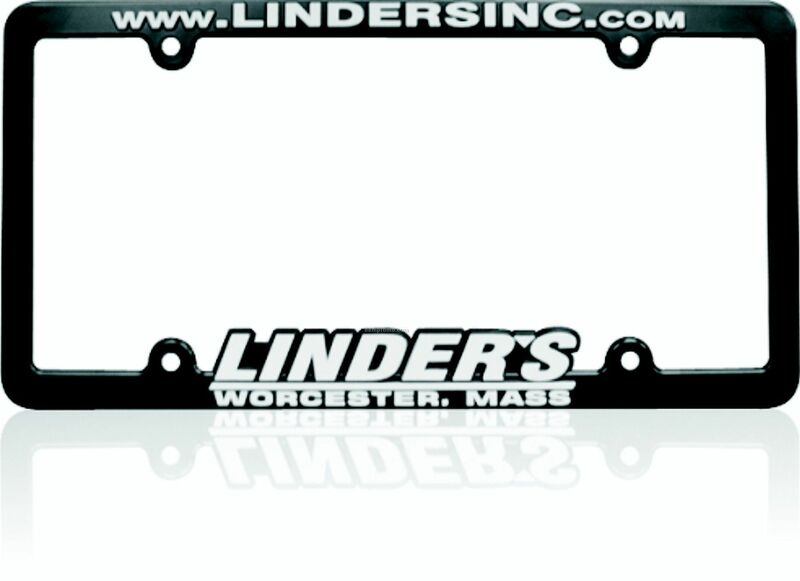 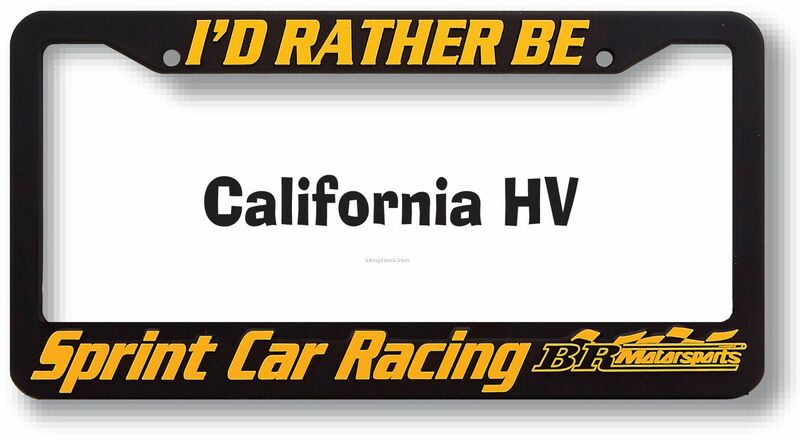 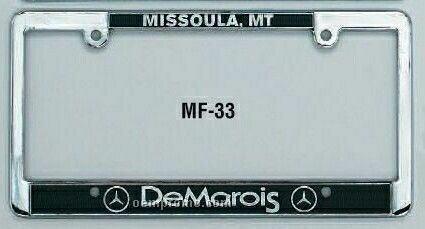 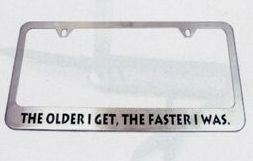 Description: Molded screen printed license plate frames. 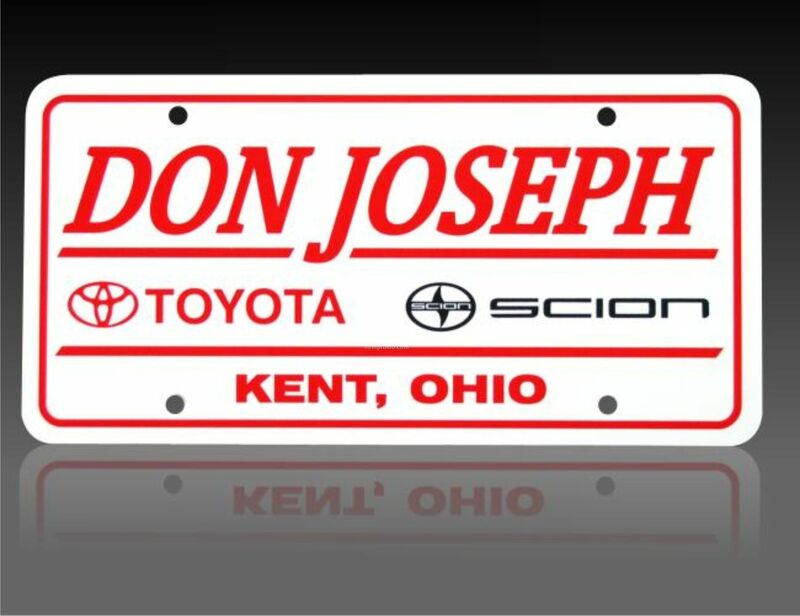 High quality plastic with custom printed letters. 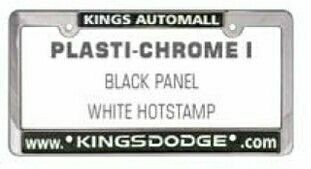 Durable materials will hold up to extreme weather conditions. 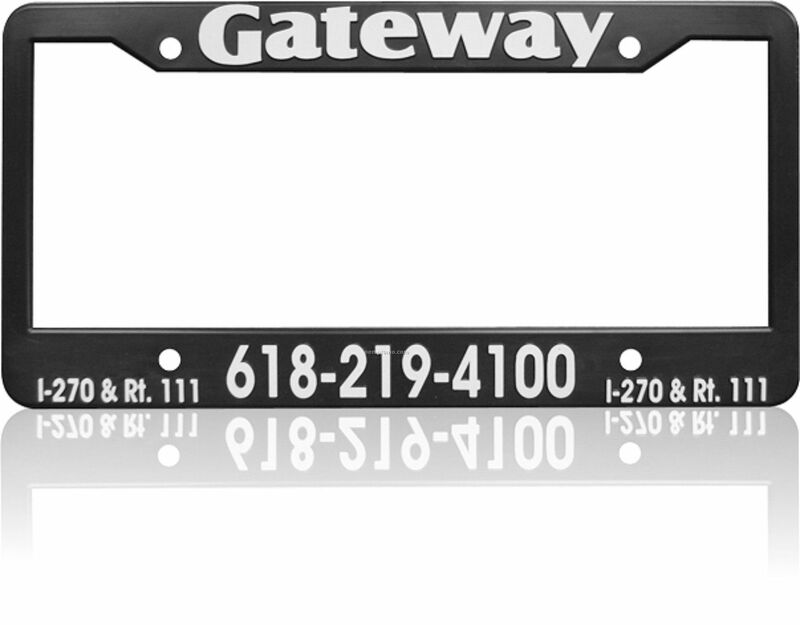 A great inexpensive way to get your name out there! 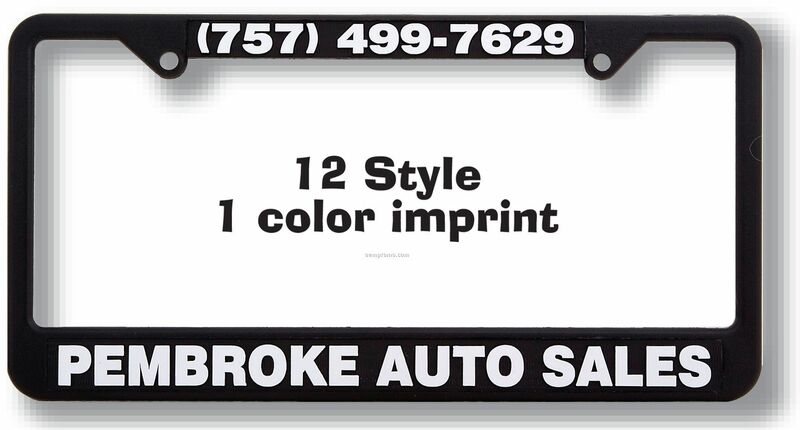 MANY OF STYLES TO CHOOSE FROM.